Unlike some aviation detailing product companies, the team at Top Flight Supplies has created one product for each individual detailing task. We don’t want to confuse you with several products that state they will do the same job. Our goal at TFS is to take all of the hard work out and offer you one product, the best product! In today’s tough commercial environment, whether you own one aircraft or a fleet of aircraft, reducing costs and increasing operational efficiency is critical. This is where TFS Titanium excels and out performs its competition. Boeing, Airbus and AMS certified. Our products will add years to the life of the leather and will help protect it from fading and cracking. Our TFS Platinum product creates a 9H ultra hard, weather resistant protection that is unmatched. TFS Platinum will seal the paint surface and leave a deep gloss finish. 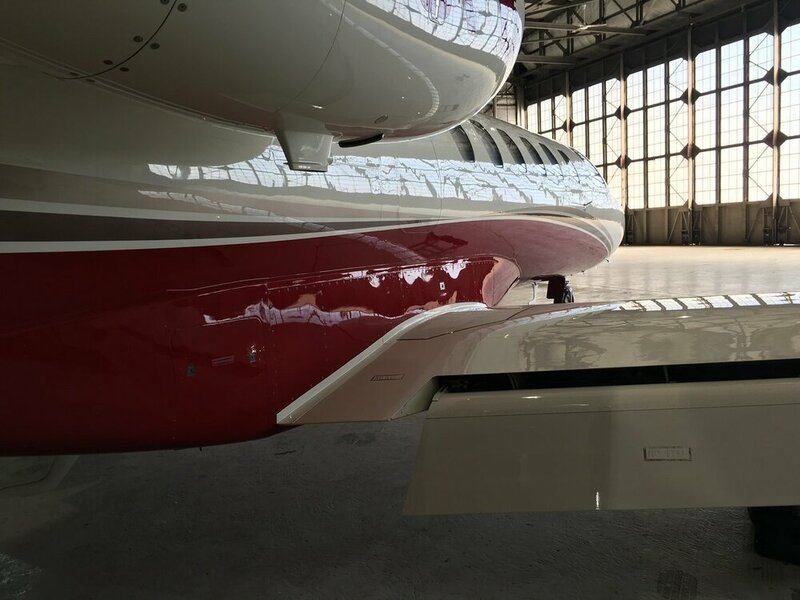 January 18, 2018 -West Star Aviation is pleased to announce the company will now offer Top Flight Supplies (TFS) Titanium Paint Protection in-house at their East Alton, ALN and Grand Junction, CO facilities.